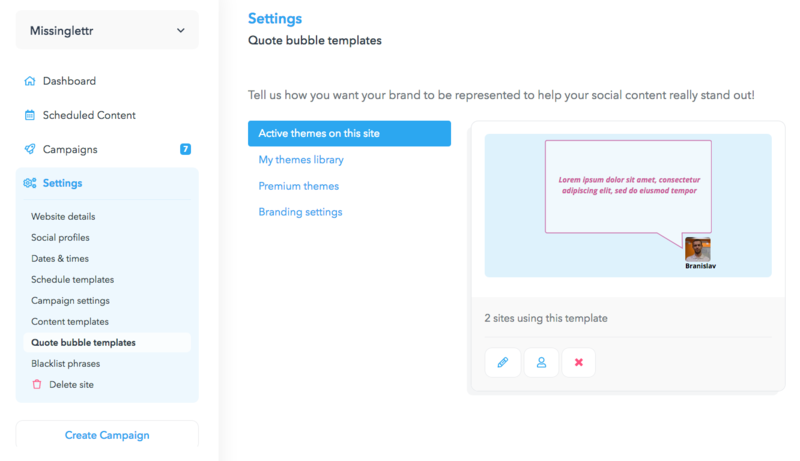 Access the branding options for your drip campaigns through the “Quote bubble templates” option in the “Settings” tab. If you're a paid user, you can edit the template that is available on the page shown above. 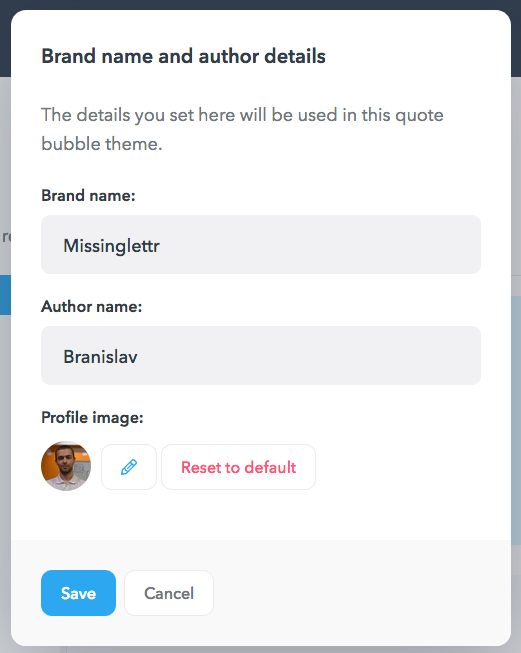 Clicking on the icons below the quote bubble template will give you different options. The X icon will remove the template from this site. 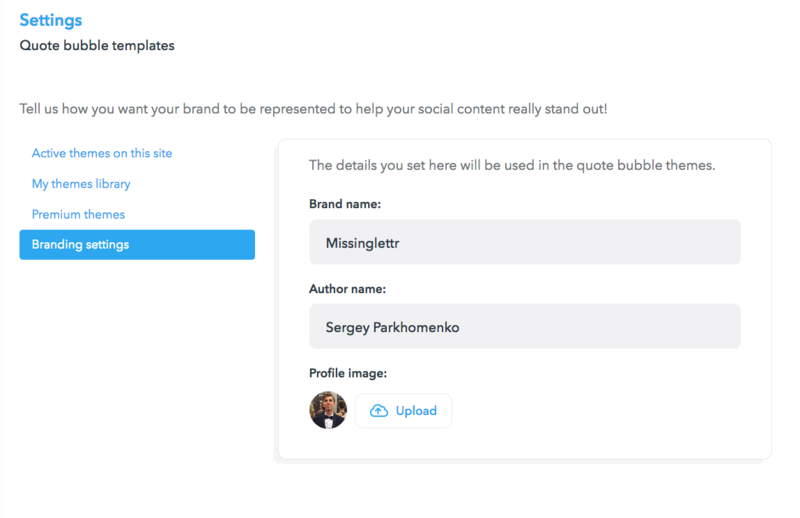 The person icon will allow you to edit the profile (brand name, author name and the photo) for this specific post template. The little pen icon allows you to edit the look of your template - please note that this option is NOT available if you're on the free plan. 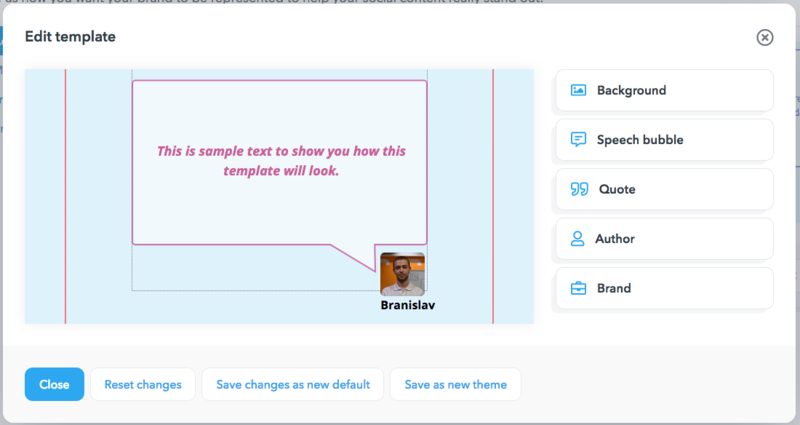 Business users can create and use their own quote bubble templates. This is possible from your template library. Trashcan - delete the branding template from your library. This will effectively remove the branding template from any site it is activated on. Copy - Will create a duplicate of the template you are copying, allowing you to create a variation. Pencil - allows you to edit the branding template as described in 1. If a template is not active on the site you are currently on, it will have the "Activate for this site" option available. Clicking on it will add the template to your future campaigns for this site. Under each template, you can see how many sites share the same branding template. 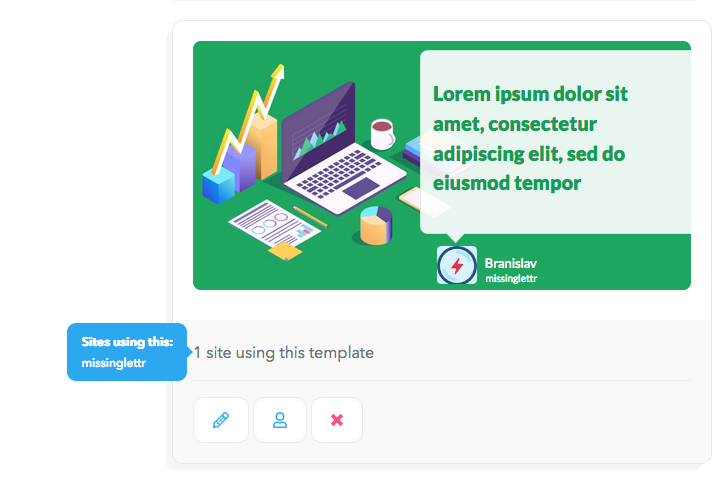 Changing a shared quote bubble template on a site will update the quote bubble templates across all sites. 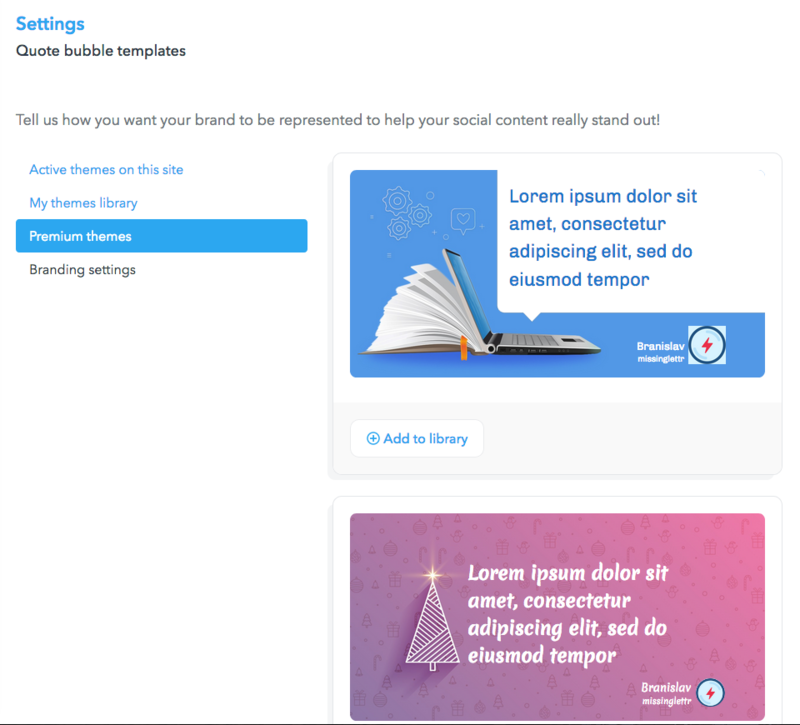 Our first premium branding templates have officially been launched, and if you are a paying customer, you can add any of them to your library and edit them as you wish. To select one, just add it to your library using the button under each template. Continue to the next step: Creating campaigns.